This past week, November 22-26, 2010, it has been held the Course on “Cryopreservation of Mouse Germoplasm” and the consecutive Symposium on “Animal Models and Cryopreservation”, in Campinas (Brazil), at the at the Multidisciplinary Center for Biological Investigation on Laboratory Animal Science (CEMIB), of the University of Campinas (UNICAMP). 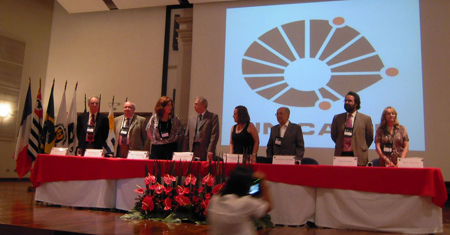 These two events were co-sponsored by CNPq (Conselho Nacional de Desenvolvimento Cientifico y Tecnológico do Brasil) and the ISTT (International Society for Transgenic Technologies), and were also supported by EMMA (European Mouse Mutant Archive) and ICLAS (International Council for Laboratory Animal Sciences). These two events represented a “cool” initiative which proved to be most successful, nicely illustrating the willingness and compromise of CEMIB-UNICAMP to contribute and participate in international projects on mouse functional genomics, specifically through their cryopreservation efforts. 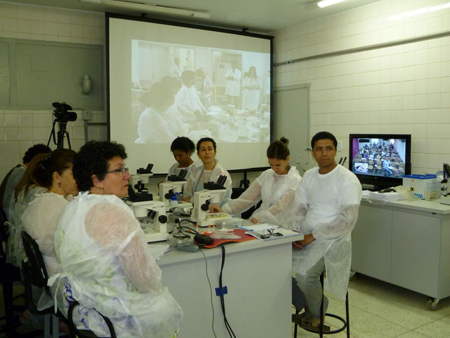 The hands-on course on basic cryopreservation techniques was followed by 10 technician and students from CEMIB plus up to 40 additional technician and students from other institutions in Brazil and other countries, did also followed the course through videoconference facilities provided within the UNICAMP campus. Complementary talks were delivered to all these participants by Jorge Sztein (NIAID-NIH, Bethesda, MD, USA), Jean-Louis Guénet (Inst. Pasteur, Paris, France), Jean Jaubert (Inst. Pasteur, Paris, France), Martina Crispo (Inst. 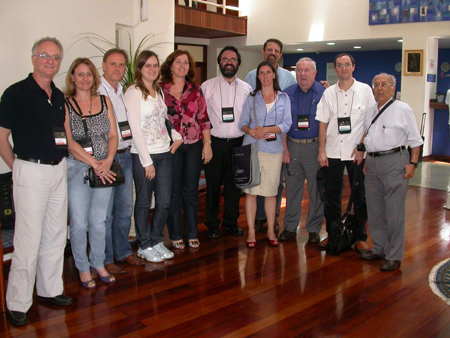 Pasteur, Montevideo, Uruguay), Luz-Augusto Correa Passos (CEMIB) and Lluís Montoliu (ISTT and EMMA, CNB-CSIC, Madrid, Spain). The course was followed by a one-day Symposium on “Animal Models and Cryopreservation” were CEMIB, through its past and recently nominated Directors, Prof. Delma P. Alves and Rovilson Gilioli, respectively, presented their corageous initiative to become a reference institution on animal models and cryopreservation for South America, in cooperation with other insititutions within Brazil and in collaboration with supporting institutions from neighbouring countries, such as the Institut Pasteur of Montevideo (Uruguay) and the Universidad de La Plata (Argentina). At the Symposium talks were delivered by Cecilia Carbone (ICLAS, Univ. 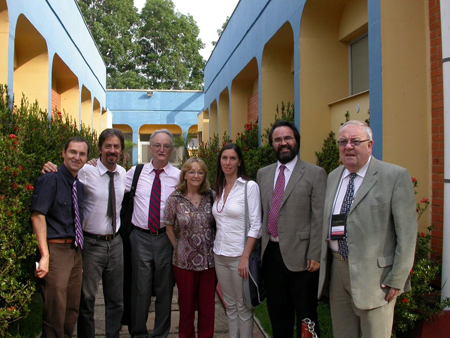 de La Plata, Argentina), Jean-Louis Guénet, Jorge Sztein, Lluís Montoliu, Martina Crispo and Fernando Benavides (MD Anderson Cancer Center, Smithville, TX, USA). The Course on Cryopreservation of Mouse Germoplasm and the associated Symposium on Animal Models and Cryopreservation will be held next week, starting Monday November 22, until Friday, November 26, at the Multidisciplinary Center for Biological Investigation on Laboratory Animal Science (CEMIB), University of Campinas, Campinas, Brazil. This course and symposium are co-sponsored by the International Society for Transgenic Technologies (ISTT). The Organizing Committe of these initiatives include several ISTT Members: Delma Pegolo Alves (CEMIB, Director), Marcus Corat (CEMIB), Jorge Sztein (NEI-NIH, Bethesda, MD, USA) and Martina Crispo (Institut Pasteur Montevideo, Uruguay). In addition to these persons, the scientific program also include additional ISTT Members as invited speakers : Fernando Benavides (MD Anderson Cancer Center, Smithville, TX, USA) and Lluís Montoliu (CNB-CSIC, Madrid, Spain). The list of faculty members teaching this course is completed with the contributions from: Humberto Rangel (CEMIB founder), Jean Louis Guénet (Inst. Pasteur, Paris, France), Luiz Augusto Corrêa Passos (CEMIB) and Flaminio de Oliveira Rangel (CEMIB). 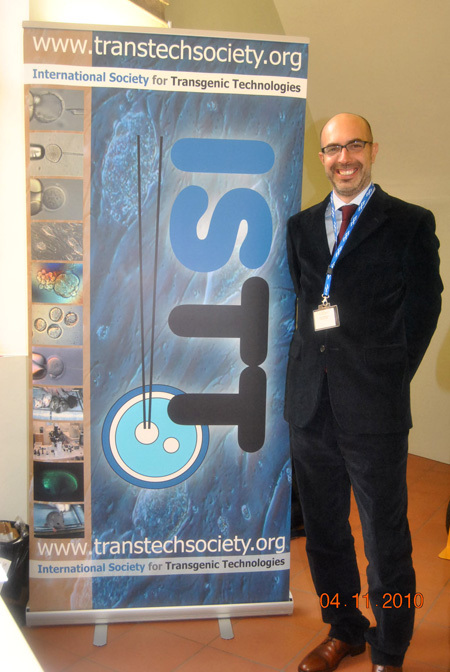 The International Society for Transgenic Technologies (ISTT) was present at the 2010 AISAL Symposium, held in Imola (Italy), on November 4-5. Marcello Raspa, PhD, DVM (EMMA-CNR, Monterotondo, Rome, Italy) was representing our Society as ISTT Member and delegate in this interesting symposium of the Associazione Italiana per le Scienze degli Animali da Laboratorio (AISAL) (Italian Society for Laboratory Animal Science), on “Imaging and Medicina Translazionale” (Imaging and Translational Medicine) . At the ISTT, we are most grateful to Marcello for his generous help and contribution to the dissemination of the objectives of our Society. Thanks Marcello! Today, Saturday, November 13, 2010 it will be held the QTRN’s 6th Annual Symposium: Focus on new transgenic models and their phenotyping, at the Centre de Recherche du CHUM-Hôpital St-Luc, Université de Montréal. This QTRN symposium is co-sponsored by the ISTT. This symposium will consist of three sessions devoted to presentations and discussions on: (1) Transgenic animal models in biomedical research; (2) Alternative transgenic models development; and (3) Transgenic animal phenotyping. The program of this 6th QTRN annual symposium can be browsed/downloaded from here, and includes several ISTT members among chairs, invited speakers and organizers. A new web resource (MouseCre) has been released for finding and using cre-transgenic lines. The Institut Clinique de la Souris (ICS), in Illkirch-Strasbourg, France, has developed a specific CreERT2 resource that is now available to the scientific community. In this MouseCre database you will find a standardized characterization of different Cre lines driving Cre or Cre-ERT2 in various tissues and organs. All the lines described and included in MouseCre are available under MTA agreement (for academic users only). 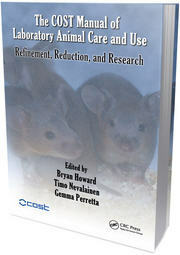 “The COST Manual of Laboratory Animal Care and Use. Refinement, Reduction and Research” has been just published by CRC Press (2011) . This book has been edited by Bryan Howard (UK), Timo Nevalainen (Finland) and Gemma Perretta (Italy), with contributions from many authors, including a chapter written by two ISTT Members, Belén Pintado (Spain) and Marian van Roon (Netherlands) on the “Creation of Genetically Modified Animals”. COST is an intergovernmental framework for European Cooperation in Science and Technology, allowing the coordination of nationally-funded research on a European level. COST contributes to reducing the fragmentation in European research investments and opening the European Research Area to cooperation worldwide. One of the key scientific domains that COST covers is that of “Biomedicine and Molecular Biosciences” (BMBS). 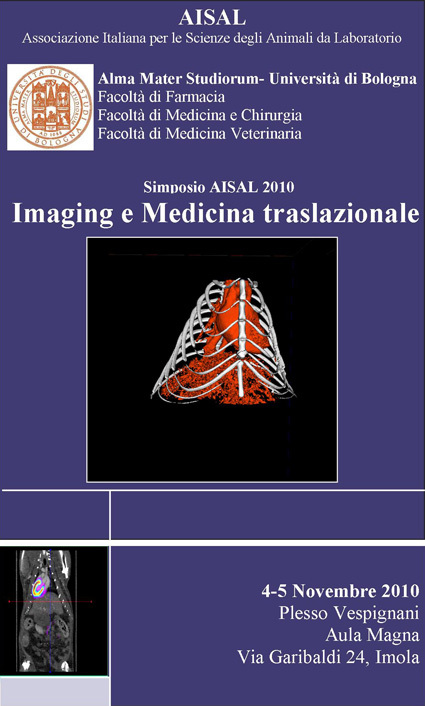 ISTT will be present at the 2010 AISAL Symposium on "Imaging and Medicina Translazionale"
The International Society for Transgenic Technologies (ISTT) will be present at the 2010 Symposium of the Associazione Italiana per le Scienze degli Animali da Laboratorio (AISAL) (Italian Society for Laboratory Animal Science), on “Imaging and Medicina Translazionale” (Imaging and Translational Medicine) that will be held in Imola (Italy), on November 4-5, 2010. Marcello Raspa, ISTT member, Director of the Animal Facility at EMMA-IBC-CNR, Monterotondo (Roma, Italy) and member of the Scientific Committee of this 2010 AISAL Symposium, will be representing the ISTT in this event. The AISAL Society is affiliated with FELASA, ICLAS and AALAS.